Introduced in 1968, the Mehari was a new multi-purpose, all terrain pick-up joining Citroën’s family of light, flat-twin vehicles. Introduced in 1968, the Mehari was a new multi-purpose, all terrain pick-up joining Citroën’s family of light, flat twin vehicles. In 1997 Citroën and Peugeot came out with an electric car based on the compact 106 Series cars. The SM came into being as a pure experiment. With the exception of small, low-powered cars, Citroën was practically alone in building front-wheel drive models. 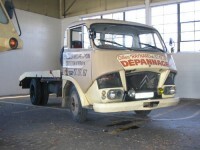 The Citroën Type 350 (series n) was launched in 1964. Design of the body, with strong similarities to its predecessor the Ami 6, was the last work of designer Flaminio Bertoni, who was also responsible for the Traction Avant, the 2CVv, the DS, and the Ami 6. The Citroën Visa, conceived in the early 1970s as Project Y2, was envisioned as a replacement for the Ami 8. 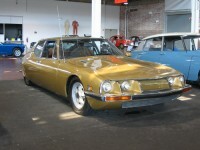 Citroën was forced to redesign the car after its acquisition by Peugeot in 1976. Albert A. Pope, or Colonel Pope as he liked to be known, was a tireless promoter of his Columbia brand. In an effort to develop a premium product that would command higher prices, he developed the so-called “chainless” bicycle based on a driveshaft connected by beveled gears at each end. 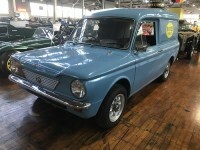 The Imp was a small semi-hatchback, rear-engined car designed to go head-to-head with BMC’s Mini. It was Britain’s first car with an aluminum block and head. 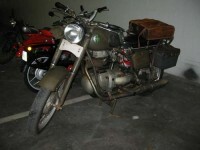 Condor motorcycles began as a bicycle works, Scheffer Freres, (Scheffer Brothers) in the Jura Mountains of southwestern Switzerland in 1891. By 1904, the company was known as Condor, named after the large Andean bird, and enjoyed a brisk business with the Swiss Army and Postal Service. 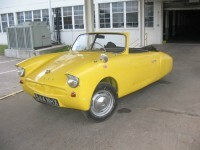 The Coronet is an attempt to offer full-size car looks in a three-wheeled microcar. It came as a two- or three-seater convertible. 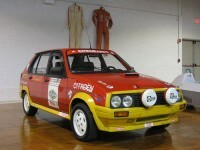 The engine is in the rear, sitting in front of the one rear wheel. 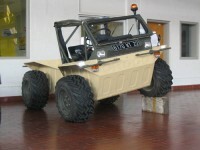 The Croco was designed for extreme off-road situations. 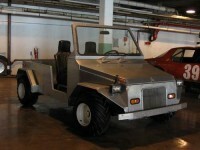 It articulates in the middle, it is amphibious, and it can climb and descend almost any hill you are willing to try. 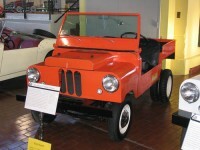 When Crosley ceased production, the rights to the Crosley engine changed hands several times. During this period, the engine was manufactured and sold as a stationary engine for use by the military and for boat motors. Probably the most advanced automobile manufacturer in America during the post-WWII years was Crosley, a radio and refrigerator manufacturer. 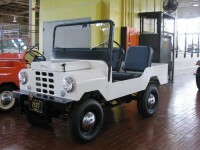 They pioneered the production of quality small cars for a nation raised on cheap fuel and high speed. 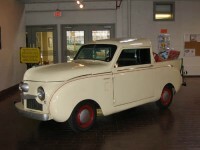 The Farm O’Road was in keeping with Crosley's philosophy of offering minimum cost vehicles. 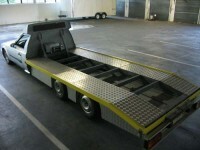 It has a wheelbase of only 63 inches and an overall length of 91.5 inches.